Thinking of composting but don’t know where to start? Worried about the smell or amount of work? 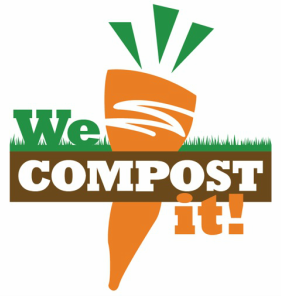 It’s easy – We Compost It takes the worry and questions away and does the work for you. Curbside Compost is the way to go! Why should you care about composting? 18% of U.S. Emissions comes from food in landfills. The Graham Rd landfill is creating high levels of ammonia – town officials explore closing it. There has been a 50% increase in food waste since the 1970’s. 40% of the food in Maine is wasted. Composting reduced the amount of waste your home sends to the landfill. It will reduce your costs of prepaid trash bags. High quality compost enhances the local soil for farming and gardening. The compost is used by local farmers and gardeners and also donated to local schools. Sign up for as long as you like. Several options available. Put it out for pick up each Saturday. Receive fresh compost in the spring for your garden and pick up more if you need it! See their business partners on the website including Mid Coast Hospital, local restaurants and schools. Businesses and Homeowners creating an even better Brunswick!